Why Choose Andersen Replacement Windows? If you’re like most New Jersey homeowners, it’s likely you won’t have window replacement on the mind unless a major problem pops up. (Broken panes, condensation, peeling paint, noticeable wear and tear, sky-high electric bills, etc.) However, there are many good reasons for swapping out your old drafty windows with new high-efficiency ones, even if no major emergency is prompting the change. Andersen windows are among the best available on the market today and can significantly improve the comfort of your living space. Here are some of the benefits of installing Andersen windows in your home. Replacing your old, worn out windows can have a dramatic effect on the exterior appearance of your home. Builders’ General offers a wide selection of window, door, and siding door options that complement many home exteriors, whether your style is contemporary or more traditional. With so many trim options available to choose from, your new interior and exterior aesthetic will benefit from a custom, unique look. There are a multitude of color options for your interior and exterior, and whatever you choose will compliment your classic or modern home. A serious point often overlooked by homeowners, new windows can provide added security to your home. Andersen windows have been tested for safety to prevent against forced-entry. These modern window options include locking systems at multiple points, so lock breakthroughs are rendered almost impossible. Andersen’s VeriLock security sensors indicate whether your windows or patio doors are open and can communicate this to your smart device. These sensors are also wireless and help preserve the beauty and aesthetic of your windows and patio doors – they’re also available in a wide range of colors to compliment your décor. If you’re tired of listening to noisy neighbors and honking cars, it may be time for a window replacement. Noises come in a variety of frequencies from a multitude of sources, and Andersen’s windows are specially designed to reduce the transmission of sounds. If you’re in need of peace and quiet, a window replacement can help maintain sound control within your home. Energy efficient windows prevent drafts, cool air seeping in and warmth escaping from your home. When less energy is required to heat and cool your living space, fewer natural resources are needed and there’s less impact on the environment. Not to mention your utility bill decreases! A win-win. Fiberglass frames and vinyl never need a fresh paint job, so there’s less maintenance for you, the homeowner. Newer hardware found in replacement windows is made from stainless steel and other durable materials that undergo heavy testing to ensure they’ll stand the test of time and last in any home. When you’re choosing Andersen windows, you eliminate the need for upkeep and maintenance – this means no cracking, peeling, rusting, flaking, blistering or corroding. Getting rid of your drafty old windows and replacing them with highly efficient single-paned ones can improve your home’s ability to maintain an optimal level of warmth. Energy efficient Energy Star windows are specially made with high-performance glass, designed to keep interior air warm and protect you against hot sun glare during the spring and summer seasons. This high performance glass reduces the heat that comes into your home by 50%, maintaining an ideal temperature. Thinking About a Window Replacement? 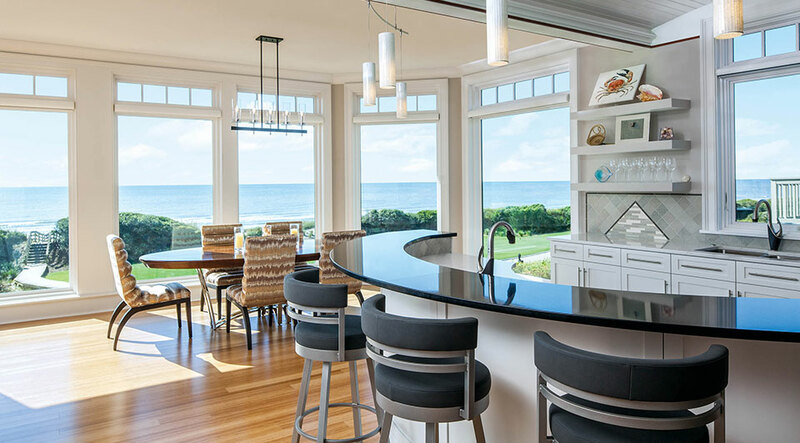 Chat with the professionals at Builders’ General – we help New Jersey homeowners understand all their options and make an informed decision when it’s time for a window replacement. If you want to learn more about Andersen replacement windows, schedule a free consultation today with one of our Andersen window specialists in Little Silver, Long Branch, Edison, Freehold, Toms River, or Perth Amboy. For beautiful and energy efficient windows that last, choose Andersen – they’ll make your home more comfortable than it’s even been!